Apple Watch owners, after updating your iPhone earlier this week, it’s now time for you to update your watch. Apple today released watchOS 5.2 for the Apple Watch. It includes a handful of improvements, like support for the new Apple AirPods and support for real-time text (RTT) for phone calls. Also included is support for the ECG app for Apple Watch Series 4 in Hong Kong and 19 European countries, including the U.K., France, Germany, Italy, and Spain. 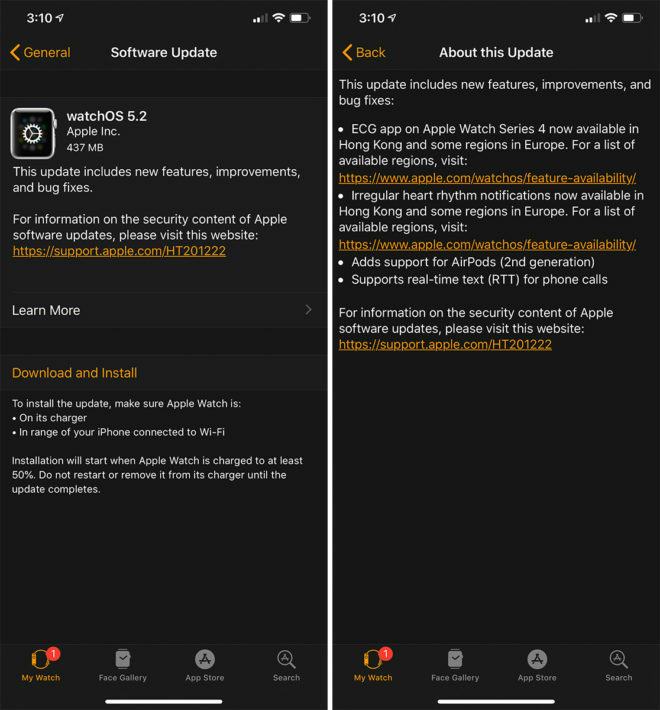 If you’ve got an Apple Watch Series 1 or later, you can get the watchOS 5.2 update by grabbing your iPhone, launching the Watch app, tapping General, and then selecting Software Update. 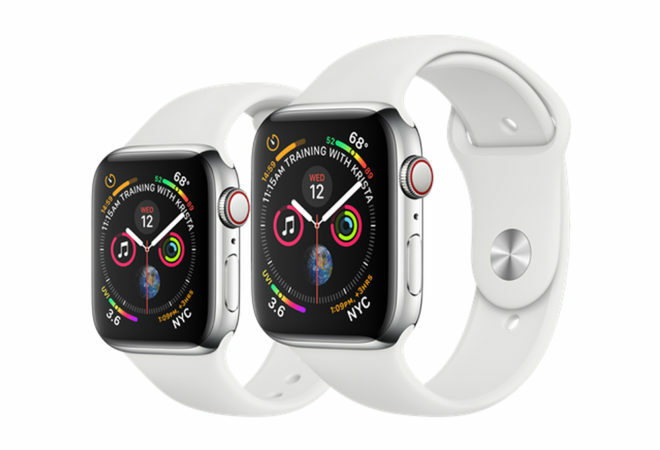 While this is a smaller watchOS update, especially for those of us in the U.S. that already had ECG app for the Apple Watch Series 4, it’s important to keep your devices up-to-date to ensure that you’ve got the latest improvements and bug fixes. So if you’ve got a compatible Apple Watch, go grab watchOS 5.2 now!